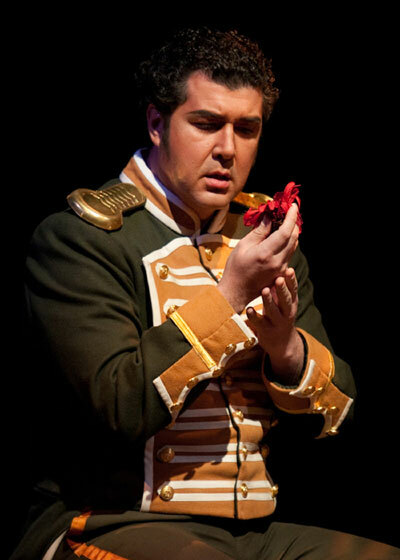 Mexican tenor Luis Chapa made his U.S. debut with Seattle Opera last season, as Don José in Carmen, and he's back now to sing Calaf in Turandot (pictured right, photo by Elise Bakketun). Today we ask Chapa about his role, and find out what motivates Calaf and why we should root for him. We also learn why Chapa wasn't impressed by "Nessun dorma" the first time he heard it! Chapa sings one more performance of Turandot, this Sunday, August 12. For more information, visit seattleopera.org/turandot. Welcome back to Seattle! What have you been up to since making your U.S. debut here last October as Don José? Well, I have had quite a few interesting productions. I did my first Tannhäuser, which was a great success, I did a few Otellos, and quite a few concerts. And then took three months off, which I needed to do after working nonstop for the last three years. I stayed at home in London with my wife and my daughter, went to the gym in the mornings, did scales in the afternoon, and relaxed. And now here we are. Luis Chapa as Don José in Seattle Opera's 2011 production of Carmen. And now you’re back for Calaf in Turandot. Have you sung this role before? Yes, I’ve done it in Poland and also in the UK. 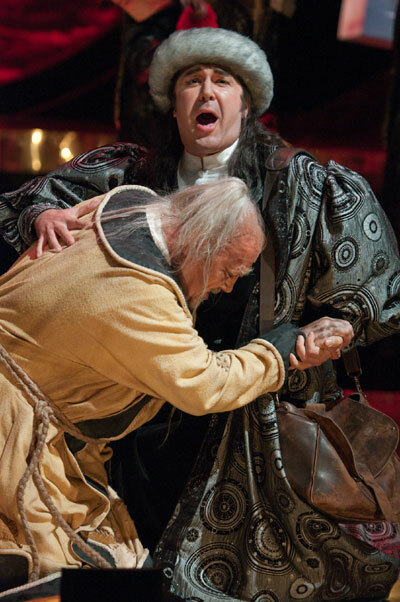 But I have to say this one in Seattle is one of the most interesting productions of Turandot I’ve done. The concept is fantastic. What sets it apart from other productions? That it’s not the standard stand-and-deliver. 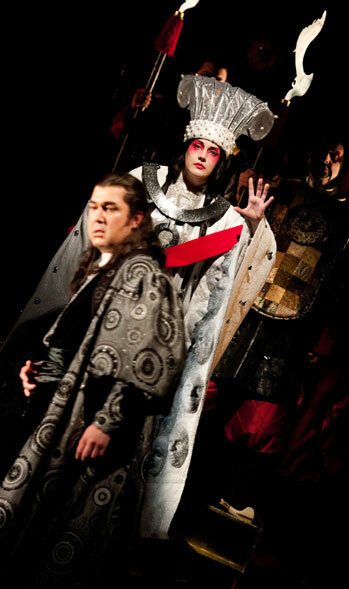 There is so much care for the details here and the human relationship between Turandot and Calaf is brought to the forefront. It’s about the people. It should always be like that, but it’s not always the case—so thank God we have this director [Renaud Doucet]. Let’s talk about Calaf. Do you like this character, or relate to him? Well, you know, when I prepare a role, I don’t try to like him. I try to study the character and to merge into the parts of his personality I can interpret the best. He’s a prince—a deposed prince, but still a prince—so he’s a person who sees the chance to regain a kingdom, and he considers himself at the same level of any princess or queen. So he goes into the riddles as if he were Turandot’s equal. He’s very confident, but without being cocky. He knows he belongs there, and that he can win the challenge. Luis Chapa (Calaf) and Marcy Stonikas (Turandot) in Seattle Opera's current production of Turandot. 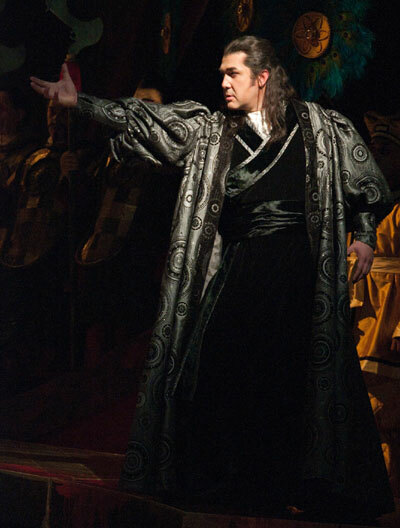 Of course, Calaf is most famous for singing “Nessun dorma.” Do you remember the first time you heard this aria? Well, obviously, the Three Tenors concert, that goes without saying. That was the first time I heard it, and I have to say it didn’t have much of an impact on me. I thought it was a nice song, but it only really started to interest me when I heard it within the context of the whole opera, because it represents the credo of Calaf. He’s somebody that believes he’s going to win in whatever he does, and when I heard “Nessun dorma” in the opera, I said, “Ah. That’s it!” With all the power of the opera behind it, it’s climactic and so good. But when I hear it on its own, it’s just a nice tune. Do you ever get nervous about singing an aria so beloved and anticipated? No, not nervous. But I get very excited. It’s like driving in a race with a very good car. This is a super production, the staging is formidable, the acoustics in McCaw Hall are some of the best, so if I’m going to sing this piece—and, yes, most tenors make or break with this particular aria—I’m being provided here with the very best tools. If I were singing it with just an orchestra and in a very bad theater, I’d be nervous. But in this situation, I’m excited. You can hear a clip of Luis Chapa singing "Nessun dorma" HERE. 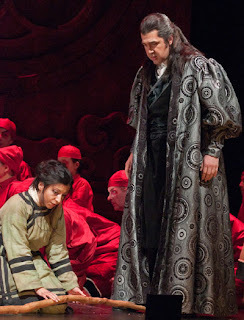 Peter Rose (Timur) and Luis Chapa (Calaf) in Seattle Opera's current production of Turandot. What motivates Calaf? Is it really love, or is it something else? I think he wants to be back in royalty. That has to be his first motivation. In the process, he gets bewitched by Turandot’s beauty. And that’s a great passion that becomes very human in the end, but his first motivator is to regain a kingdom. It has to be, otherwise it’s not real—unless he takes a potion, an elixir de amor, you cannot make that work. So you’re saying he wouldn’t risk his life only to win someone’s love. No, because if he were to do that, he would do it for Liù. If he were that kind of man, he would do it for Liù. The motivator is the kingdom. Since you bring it up, how does Calaf see Liù? You see, if I’m honest, everybody will hate me. [Laughs] That’s why I don’t identify with the character. He’s a prince, she’s a slave. Within this context, there’s a separation. Obviously she saved his father, so he’s very grateful to her and her commitment, and he’s very moved by the sacrifice she made. But kings, queens, princes, they expect people to die for them. But Liù is a formidable character and I think if she were to live and the story were to develop, she could be a princess somewhere else, with her fortitude, her character. But it is how it is. Grazia Doronzio (Liù) and Luis Chapa (Calaf) in Seattle Opera's current production of Turandot. Why should the audience like Calaf, then? What do you want the audience to see in him? A human being, born into royalty, who has a mission in life. Obviously, in times of crisis, we don’t tend to think about the rich, but rich people who lose their fortunes also suffer—in a different way, but they also suffer. Suffering and pain is not particular to a certain social status. So, Calaf is somebody who lost absolutely everything. He thought his family had been killed, but it turns out his father had become a beggar. Calaf was in exile, and perhaps he was a beggar himself. And then he sees his chance to regain a kingdom and to, at the same time, fall in love with a princess. He’s lost everything but he fights his way back. It’s very comfortable to stay in the position of a victim, and he refuses to do that. There’s valor in that.